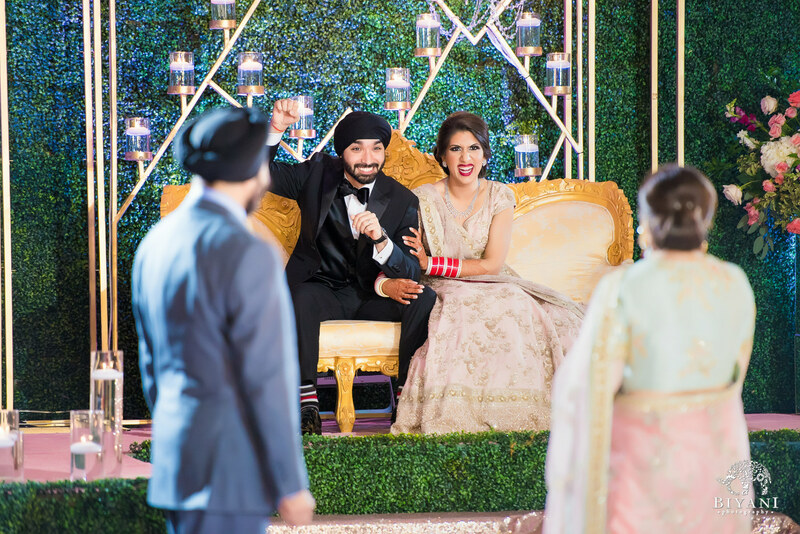 A Punjabi wedding bride decked out in shimmering sequins and a Punjabi groom tucked nicely into a black tux means a party that never ends! 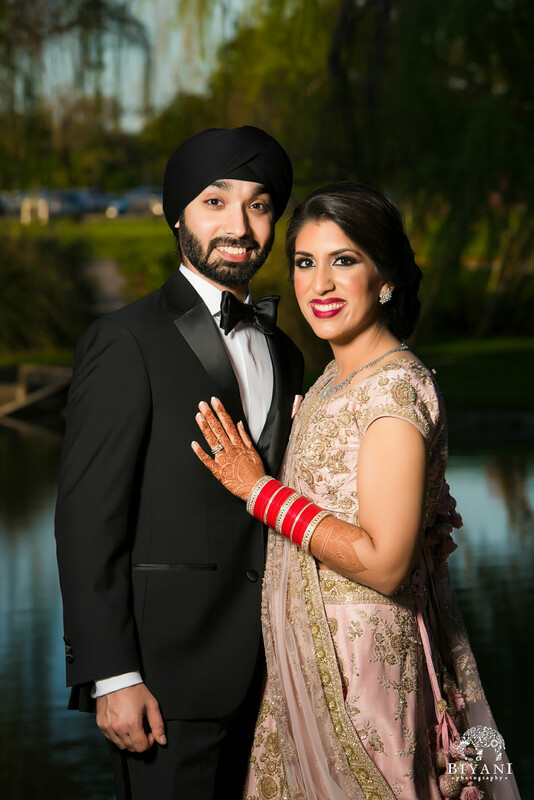 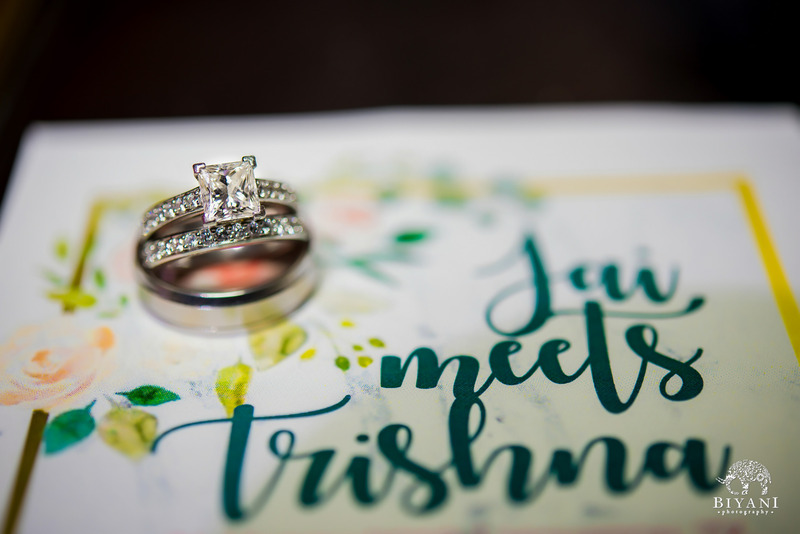 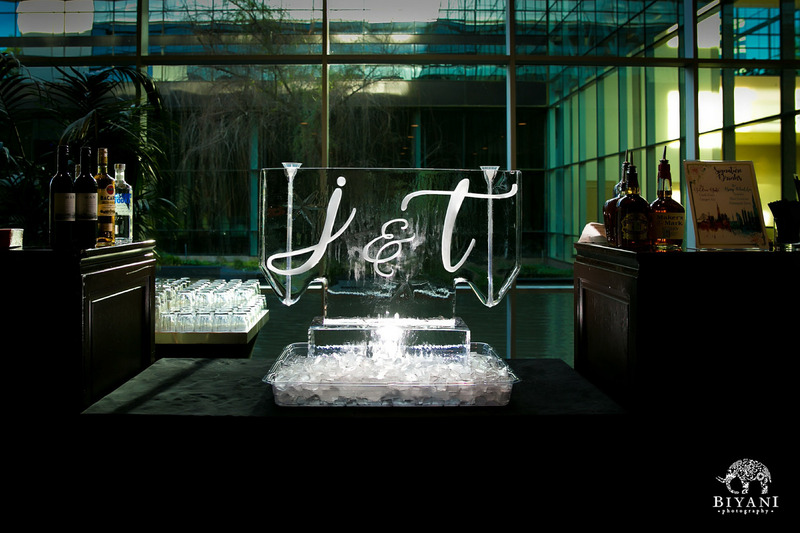 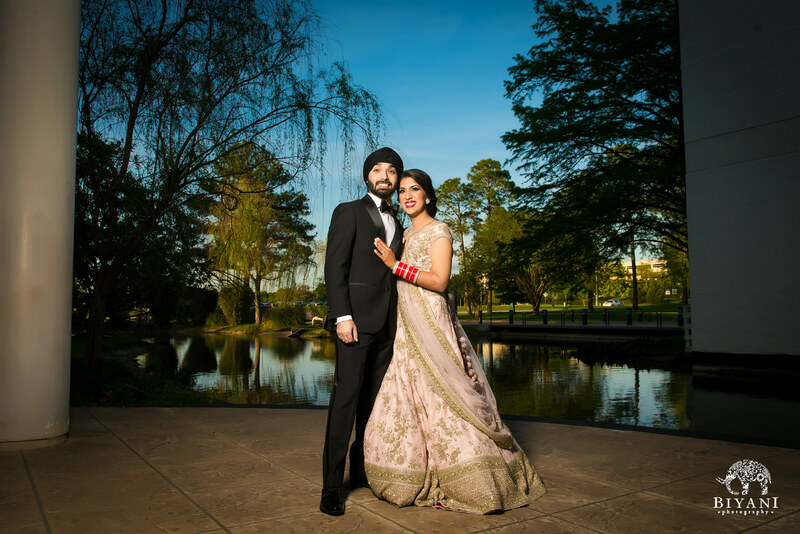 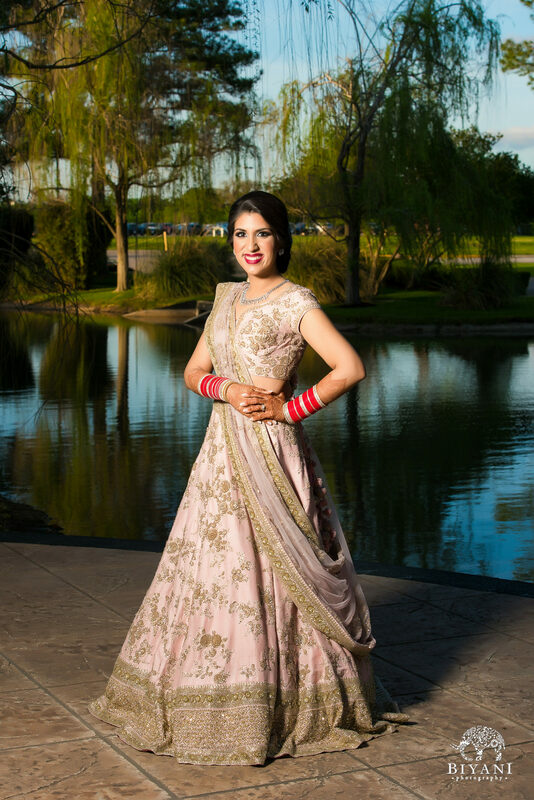 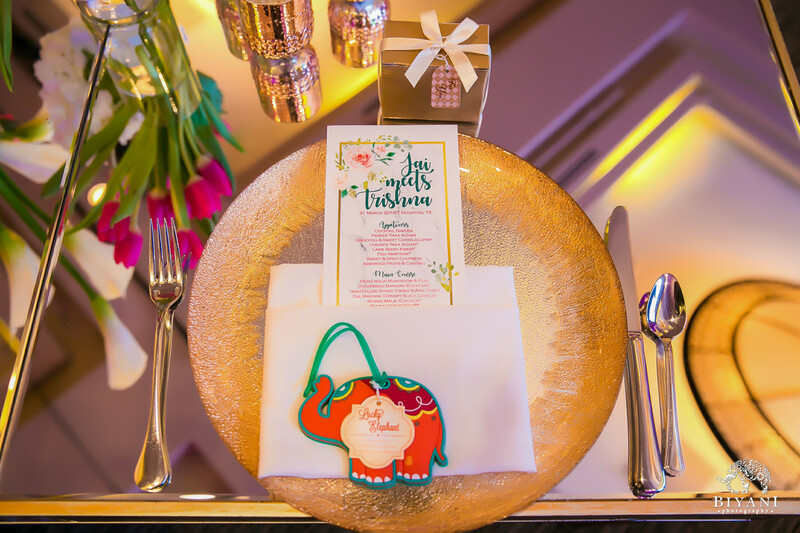 Trishna and Jai took the spotlight on this very special night. 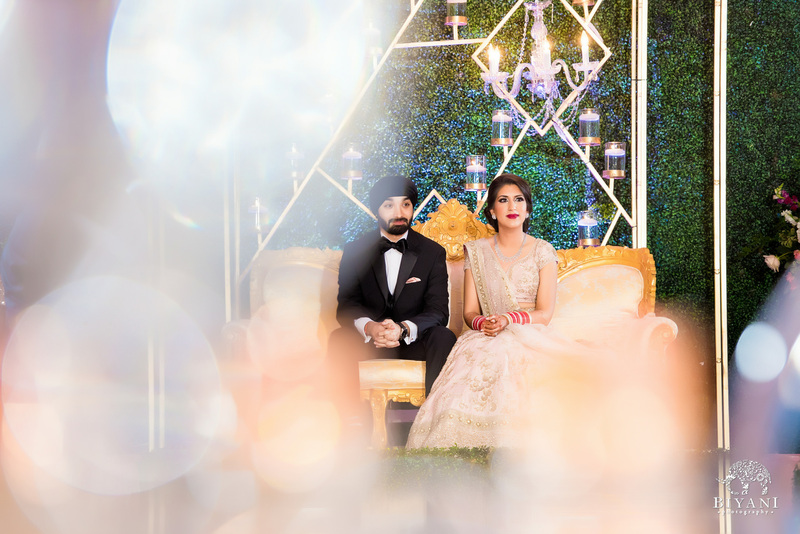 Floating tealights, a gold rim sofa and chandeliers galore set the perfect mood for this intimate and exciting Punjabi wedding reception. 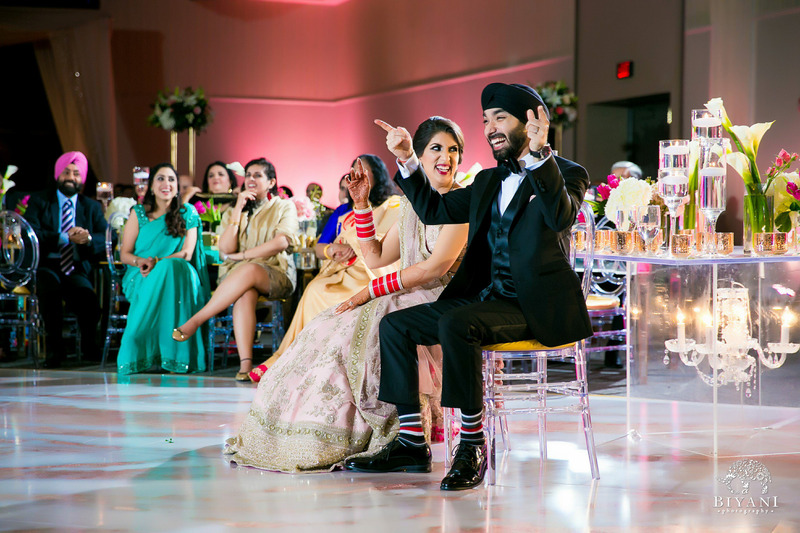 This couple ended the night with a bang, that’s for sure. 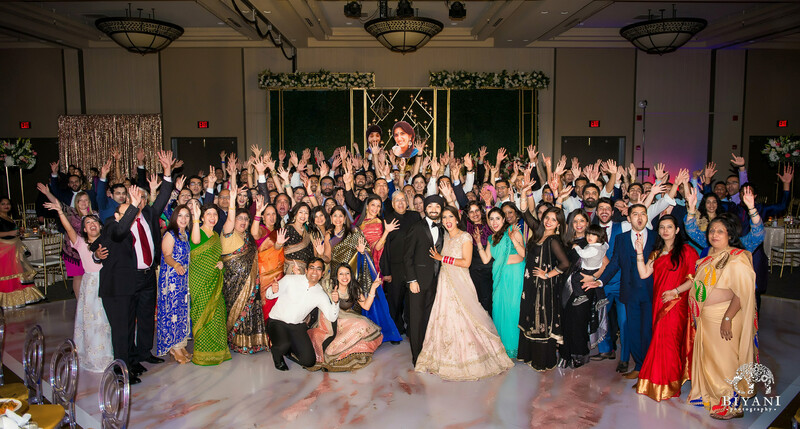 We couldn’t have been more excited to be a part of it. 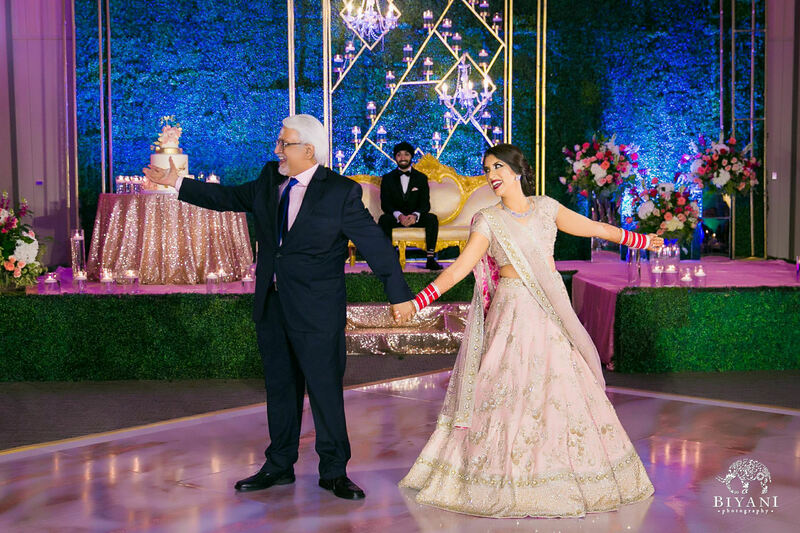 Here is a final look into our energetic Punjabi wedding week with #jaimeetstrishna! 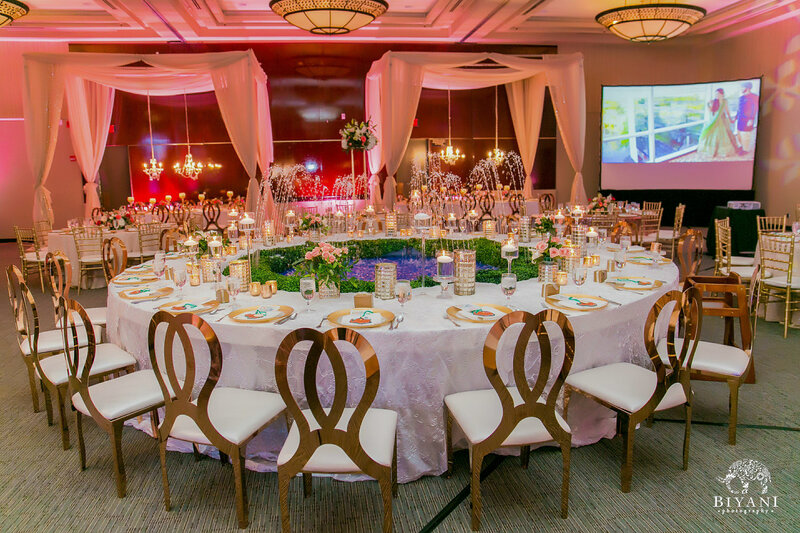 Yes, that is a fountain as the center piece. 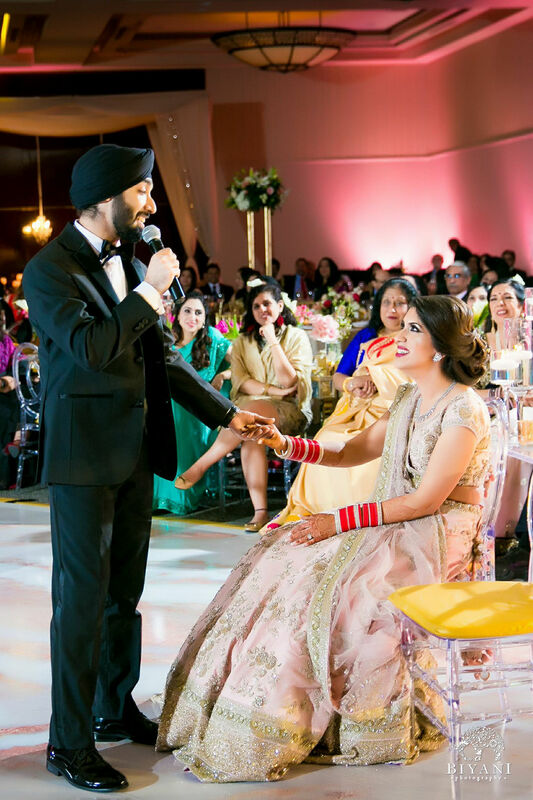 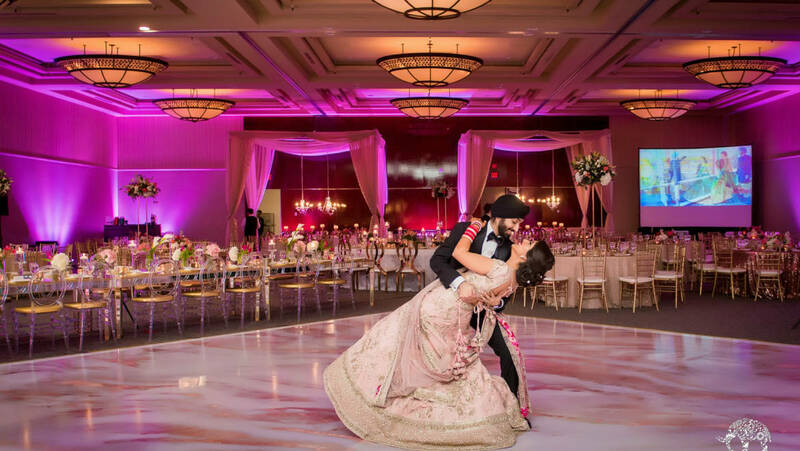 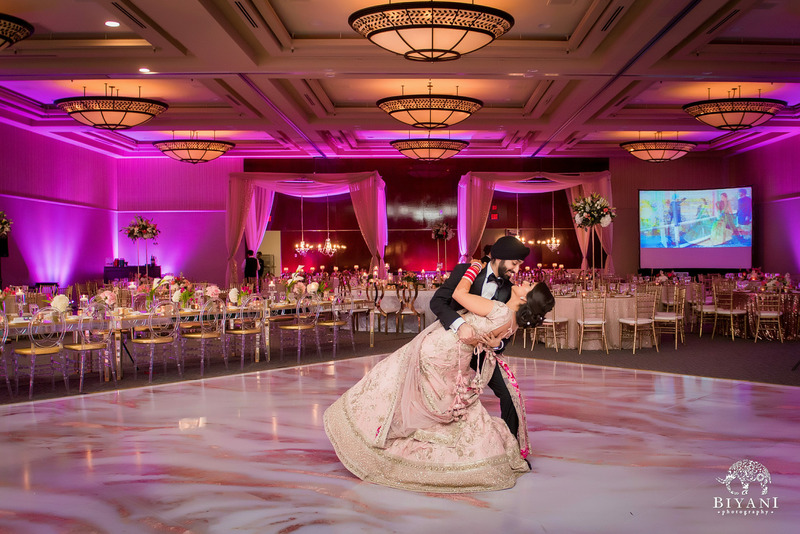 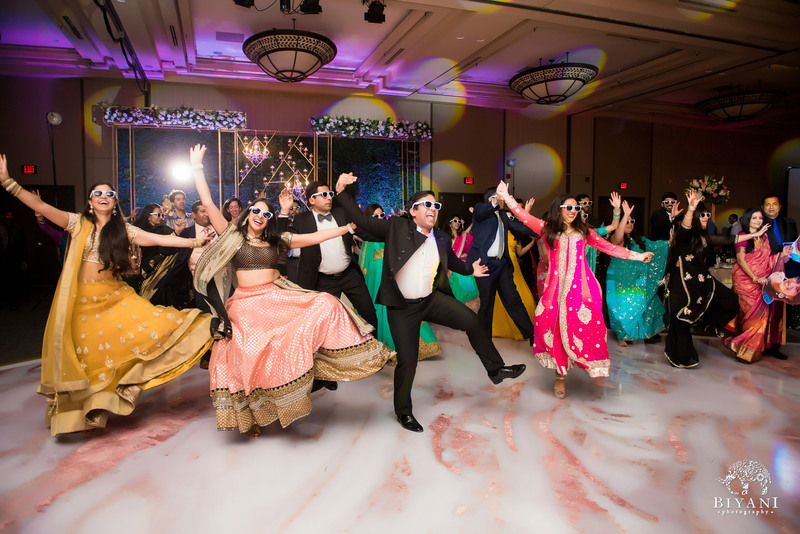 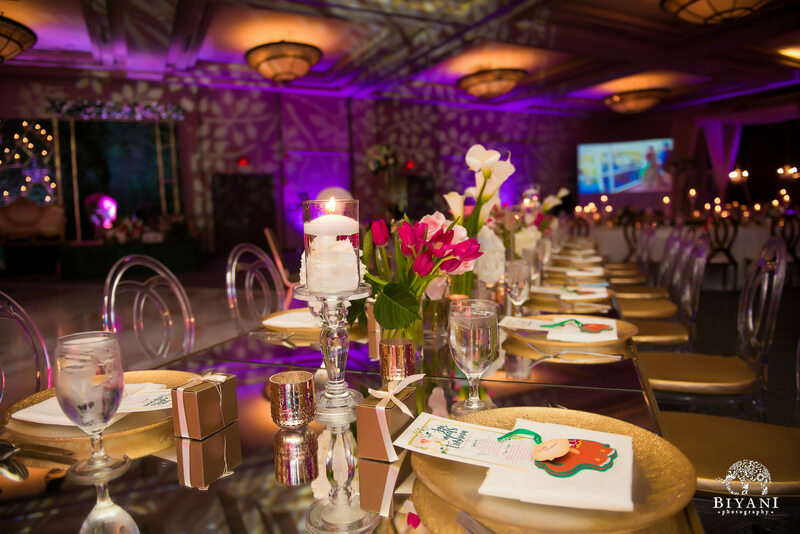 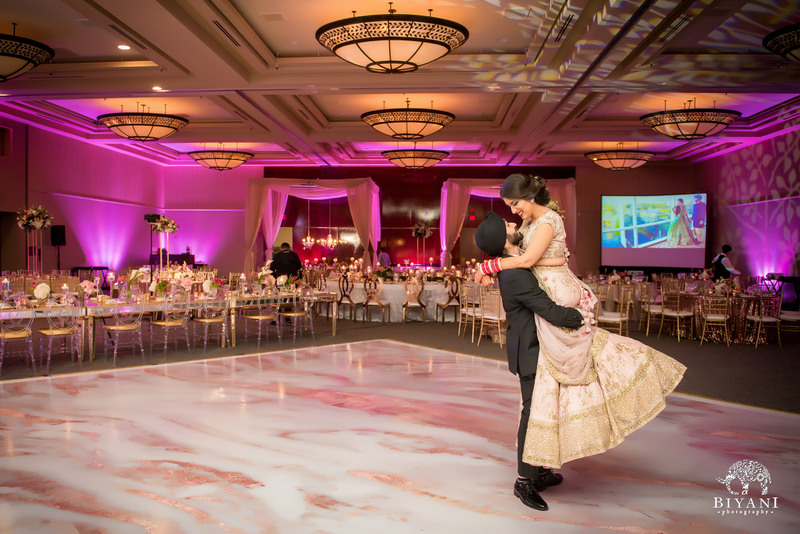 Punjabi wedding reception decor includes a marble dance floor, pink lights, and a shining couple! 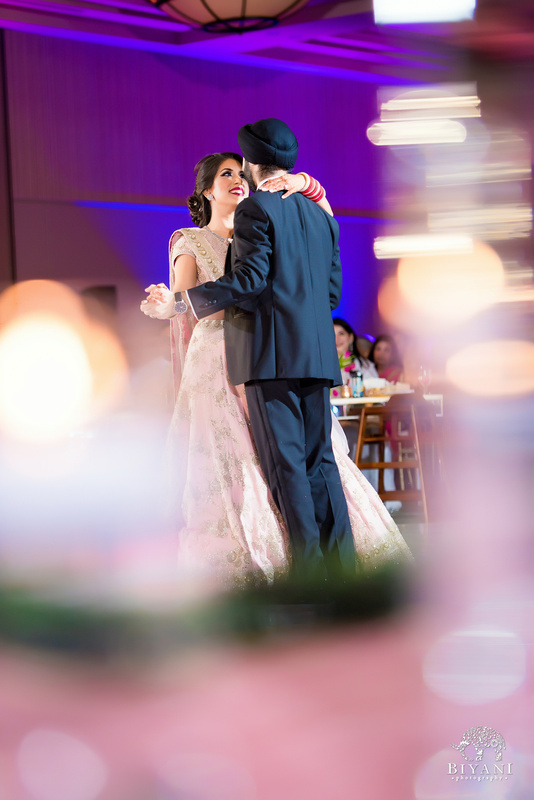 Twirl me straight into your arms! 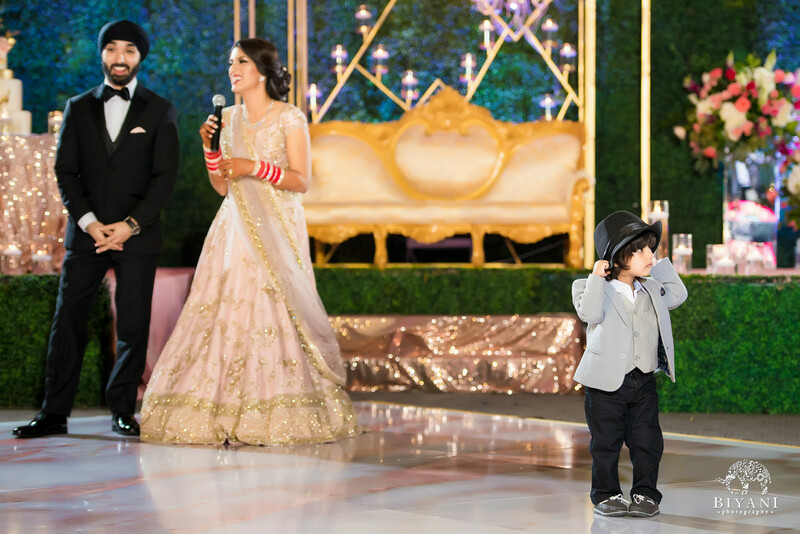 The little one takes the stage!